After having a few problems getting the printer to work reliably I figured out a much nicer way to do it without a printer driver. On the mac on the print dialogue there is PDF drop down button that allows you to save to PDF. Using automator which comes with OSX there is a few easy steps to add YajHFC to this list. Open Automator app from Applications. Choose a new print plugin workflow. 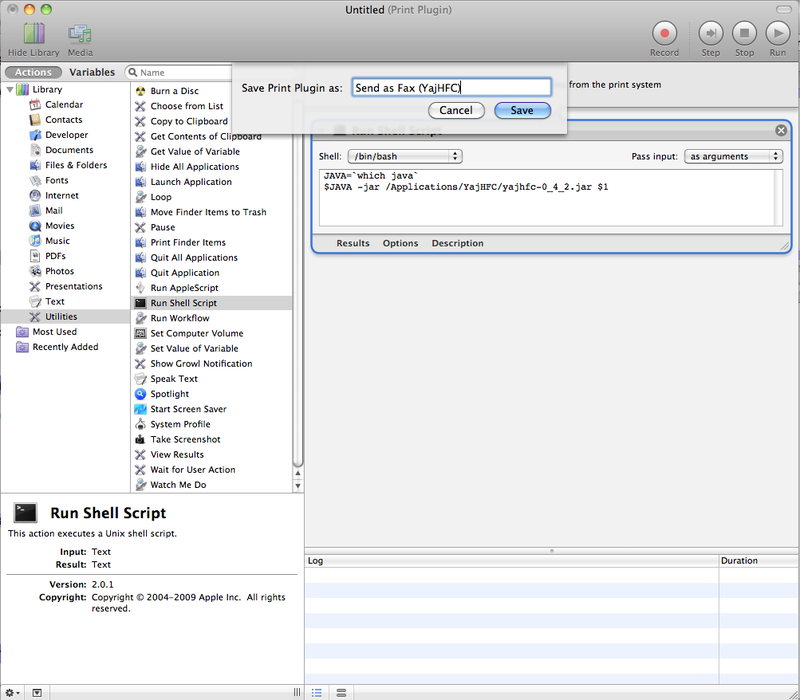 Select Run Shell Script from the list on the left and drag it into the actions panel.